I went to a talk on blogging. It was held by the Journalism department in the university I work in. I kind of snuck in as I'm not a Journalism student! But, in my defense, it was after work and the invite was tweeted! It was interesting. There were some well known British bloggers talking about how they got started. I fired all the pieces I'd made during the week. I'm generally pleased with them. 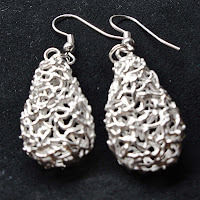 My main bugbear at the moment is taking photos of the jewellery. I really want the photos to look good and clear, buyers need to know exactly what they're getting. 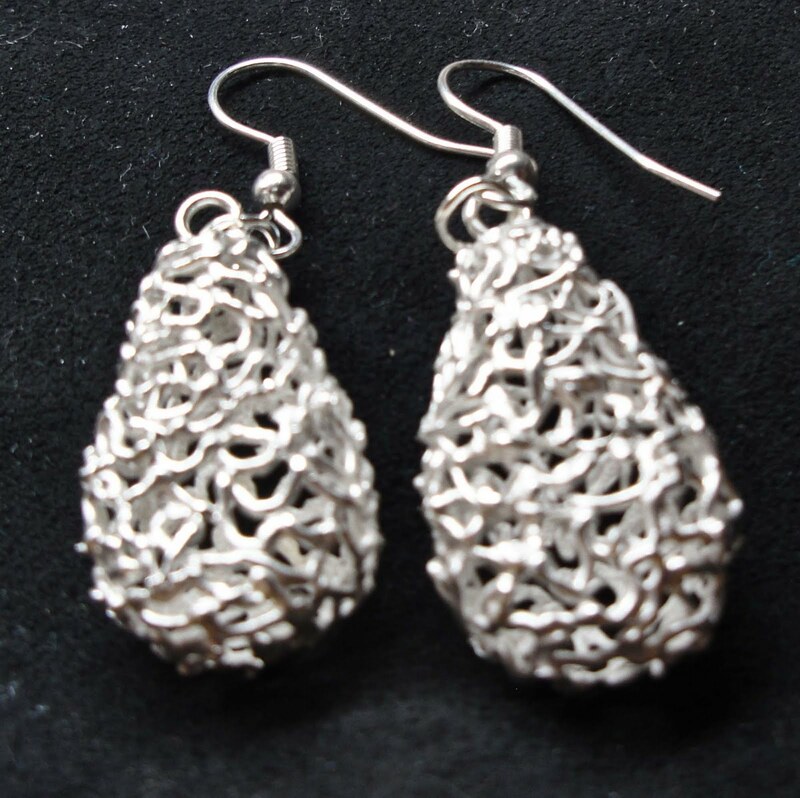 When you get close up with most cameras it gets a bit blurry, like the filigree earring picture below. I'm pretty pleased with the teal flower earrings picture though. I just want to get a set up I like with the photos and I'm finding that I get frustrated when I can't. 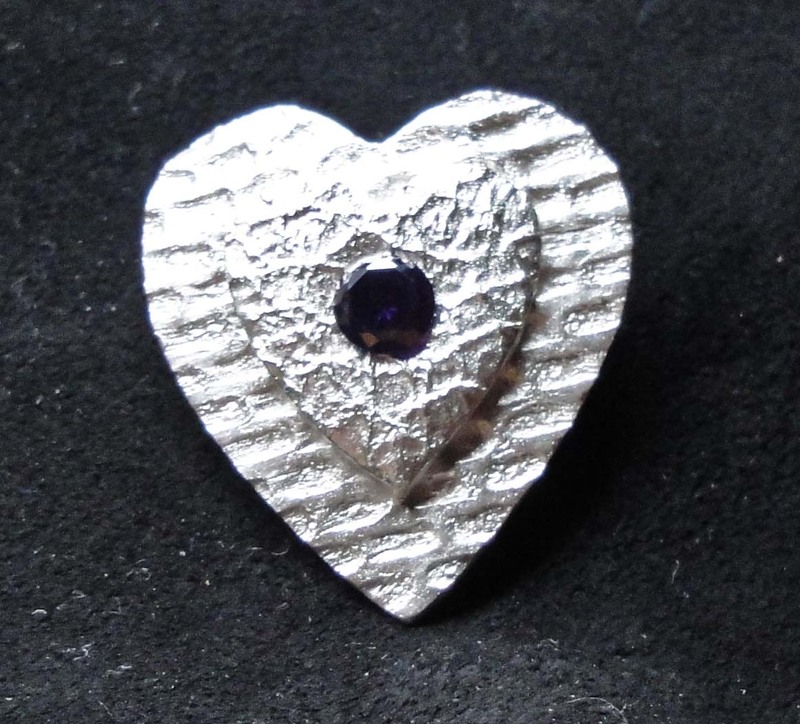 I guess it's just not my thing, I'd rather be making the jewellery that thinking about all that stuff! This is also quite large and striking. I made a bail out of silver clay on the back so it tips forward slightly, catching the eye. Also, the bail doesn't protrude and spoil the line of the heart. I am following some really interesting artists and crafters on twitter. I have followers myself and had some direct tweets this weekend which was lovely. I find it annoying when some people only tweet their products, I unfollowed two people this weekend because of that. I want to get an idea of who the person is not just what they make (although of course I'm interested in that too). Blipfoto is a great free website where you can post one photo per day. I did it every day for a long time (just tried to look how long, I think I made 200 in a row) but I found it was becoming a chore rather than something I looked forward to so I stopped for a few months. Looking back on it now I see it was a good way of documenting the every day. Now there are a few months where there is a blank. Ordinary days can get lost if there's nothing to remember them by. So, I'll give it a go and try to blip every day again. I do recommend it. I just this minute got an invite to join the 'We make London' team on Etsy which is lovely. Glad to be aboard!